One in three pets will be lost in their lifetime. Be prepared. 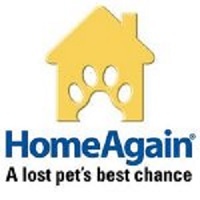 To date, Home Again has reunited over 400,000 pets with their owners! A microchip is a tiny computer chip, about the size of a grain of rice, programmed with an identification number. The chip is enclosed in glass and is injected under the skin between the shoulder blades with a needle (just a little larger than the one used for vaccinations). Once an animal is microchipped (as early as 6 to 8 weeks of age), the pet can be identified throughout his or her life with this one-of-a-kind number. 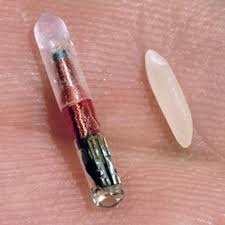 Microchips are permanent. Once injected, the microchip is anchored in place by tissues that form around it. It requires no care and will not move about the body. Pet owners have been reunited with chipped pets that have been missing for years or that have traveled thousands of miles. If your pet is ever lost and is brought to a veterinarian, humane society, or animal control, a special scanner will be used to send a radio signal to the chip to read the identification number. Your pet feels nothing when the scanner reads the chip. The number is displayed on the scanner, and the person reading the scanner can contact a national registry to find out to whom the pet belongs. After you have your pet chipped, we will register you with the national listing so that if your pet is ever lost, they can contact you right away. We use a special microchip here called the Home Again Microchip. This company provides a comprehensive pet recovery service which includes an instant email alert (with a picture of your pet) sent to shelters, vet clinics and other pet rescuers in the surrounding area, on-call support by trained counselors to assist in your pet's recovery, a "lost pet poster" tool to create a poster with your pet's picture to begin the search for your pet, a 24/7 network of veterinarians to help by phone in case of a medical emergency, complimentary lost pet medical insurance (see site for details), 24/7 help and advice through the ASPCA Animal Poison Control Center hotline, and pet ID cards with your pet's name, microchip number, photo, vet information and emergency clinic contact information to carry in your wallet.